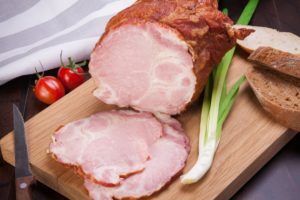 “Should we have a ham for Christmas this year?,” my wife asked this weekend, over three weeks in advance. “Sure, sounds good to me,” I replied. “Should we go ahead and order it?,” she asked. This is what happens when you condition your customers to expect a discount or a promotion. It occurs in a seasonal business when there’s been little to no effort between buying seasons to remind customers of the value of the product. It also happens if you’re a professional services provider and you consistently agree to scope creep. Or when you never say “no” to projects which aren’t a great fit for you. Your clients expect you to do anything they ask because you always have. It’s not their fault; it’s yours. You’ve become the Christmas ham. Thanks for reading and commenting, Don!